DESCRIPTION Premier location in Legacy. New Build. Two Storey home with a WALKOUT basement backing a walking path with views of the pond. Contemporary plan boasting natural light throughout. 9ft main floor ceilings and sleek laminate flooring throughout. 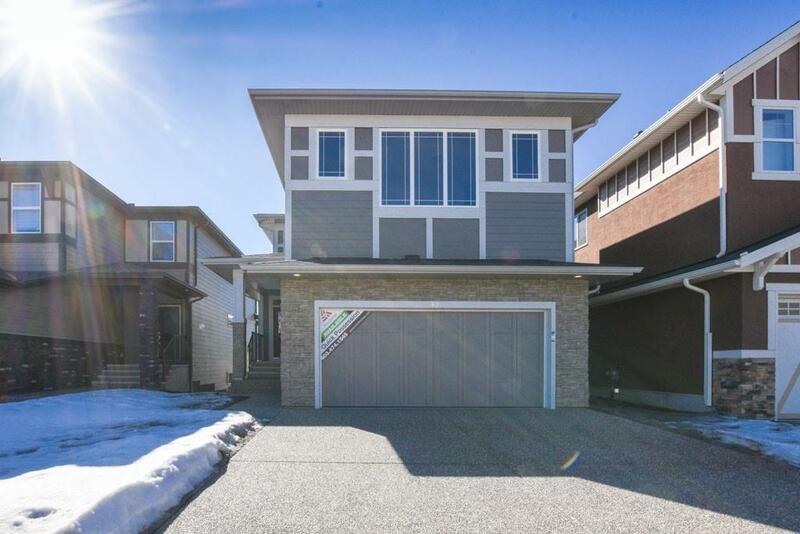 Kitchen has quartz countertops, stainless steel appliance package including built in wall oven, centre island with breakfast bar, walk-through pantry and plenty of cabinetry. Spacious living area with gas fireplace. Open eating area has access out to the south facing back deck which is highlighted with a glass-panelled railing and great views. Upstairs has 3 generously sized bedrooms each with their own ensuite bathroom including the master which is equipped with a 5pc ensuite with his/her sinks, soaker tub, separate shower and walk-in closet. Bonus room with custom tray ceiling. Upstairs laundry. Unfinished walkout basement has 9ft ceilings and roughed-in plumbing, ready for your future developments. Call today to book your private viewing.